Problem Set 4 is now posted on the Problem Sets page. Problem Set 3 is now posted on the Problem Sets page. Problem Set 2 is now posted on the Problem Sets page. Dingxin Zhang caught a mistake in the statement of Problem 1(b) on Problem Set 1. The inequality was backwards. This has now been corrected. Problem Set 1 is now posted on the Problem Sets page. Course Description Dating back to Schubert, Chasles, Zeuthen, etc. 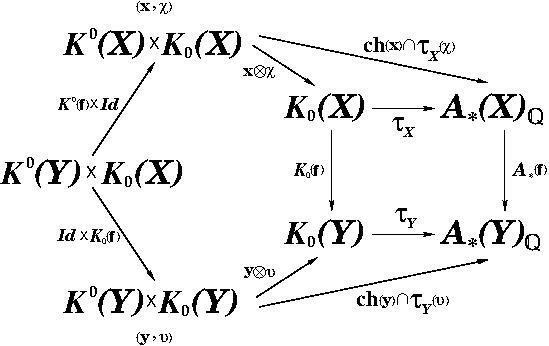 in the 1800s, intersection theory is the study of intersections of cycles in algebraic varieties. Originally a tool for solving enumerative algebraic geometry -- still one of the most important applications -- it has now grown beyond that, with connections to K-theory, Hodge theory, etc. I will explain the basic theory, with emphasis on examples and computations, through the celebrated Grothendieck-Riemann-Roch theorem, an algebraic analogue of the index theorem. The only prerequisite is a basic understanding of algebraic geometry. Text There is no required textbook. I recommend the following two excellent textbooks. William Fulton Intersection Theory, 2nd ed. Eisenbud, D. and Harris, J. 3264 and all that (not yet published). Time permitting, I would also like to discuss some additional topics, possibly from among the following: equivariant intersection theory, intersection theory for stacks, construction of the virtual fundamental class, quantum cohomology / Chow theory / K-theory. Lecture is held Tuesdays and Thursdays, 1:00 PM  2:20PM in Earth Space Sciences 177. Tuesdays and Thursdays, 2:30 PM - 3:30 PM in Math Tower 4-108. Tuesdays, 10:30 AM - 11:30 AM in Math Tower P-143. Grading System As discussed at the first class meeting, grading will be based on class participation.